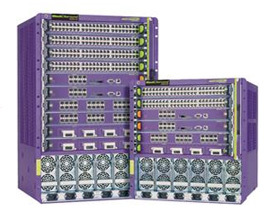 Comtek repairs Extreme Networks products for many of the best known names in the IT industry. Our many years of experience makes us the number one choice for reliable and affordable Extreme Networks hardware repairs. We repair all Extreme Networks hardware, including current, legacy, and “end-of-life” Extreme Networks switches and modules. We fix what others are unable repair. All Extreme Networks switches and modules repaired by Comtek are subjected to a full 48 hour soak test. All units must successfully pass this testing process to ensure that any intermittent faults are detected and rectified. After the successful completion of rigorous soak testing, customer’s units are issued with Comtek’s comprehensive no-quibble repair warranty.